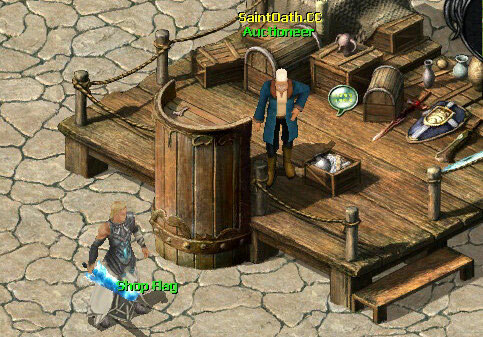 Besides setting up a booth in the Market, you can also speak to the Auctioneer (254,606) about selling your items! 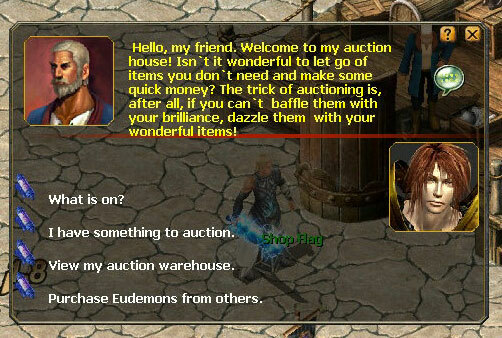 Talk to him to set a base price, and your item will be auctioned off among the other players in the server. The Auctioneer is in charge of all auctions. If you want to auction your belongings, select the second option: "I have something to auction." 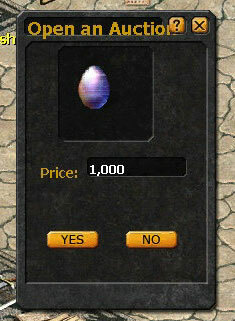 While your items are being auctioned, there will be updated messages on the screen of the players online. 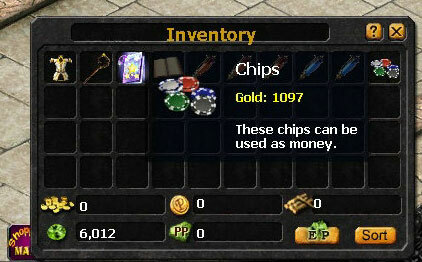 After your items are auctioned off, you will receive the Gold if you're online, otherwise you will receive Chips. The gold you received will automatically go to your Warehouse. 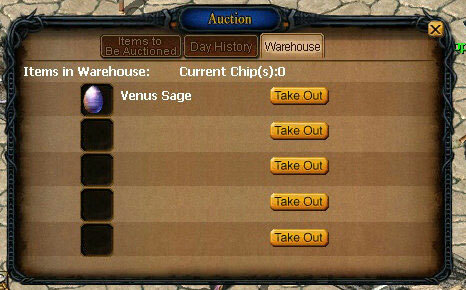 The Chips will be placed in your Auction Warehouse. Take it out to your inventory, click on the chips and visit the Warehouse to check the gold you got. If your item can't be auctioned off, it will be placed in your Auction Warehouse, where you can reclaim it. The items you buy will also be placed in your Auction Warehouse.